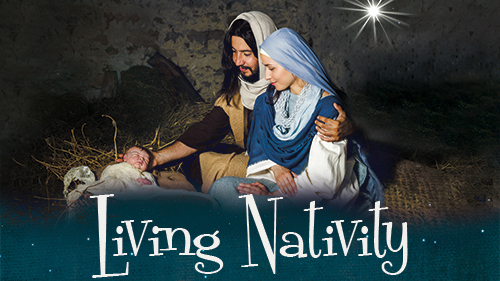 See the Christmas story come to life at the Living Nativity! The Living Nativity is an interactive, walk-through event with live character portrayals of the wisemen, shepherds, soldiers, angels, Mary, Joseph and Baby, AND a stable filled with live animals, with a real live camel! It is mostly indoor, with some animals outside. This is a Christmas gift from BCC to our community. It is free admission, with cookies and hot chocolate served.